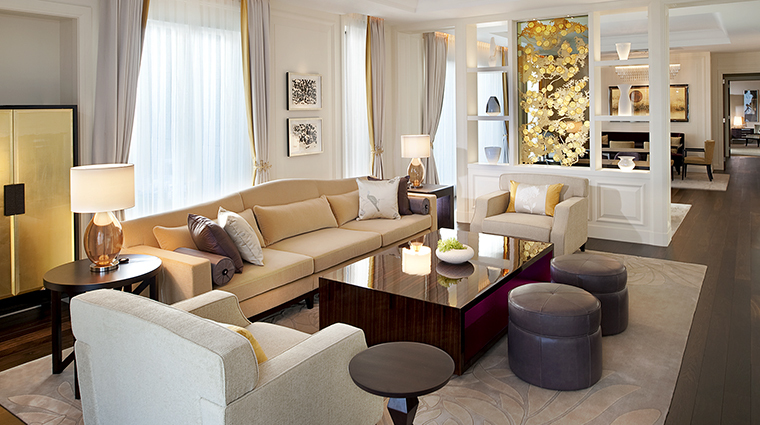 The St. Regis Osaka is an oasis of luxury and calm in this busy metropolis. Located on the exclusive street Midosuji in downtown Osaka, the hotel is a welcoming place to unwind after a day of shopping, business or sightseeing. 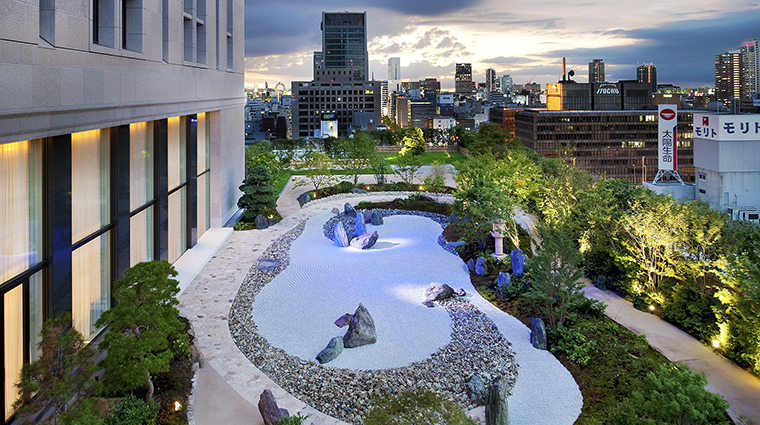 Built in 2010 and designed by the famed Japanese architecture firm Nikken Sekkei, this 27-story hotel combines heritage with modernity, understatement with bespoke style. All guest rooms brim with luxury and comfort, and there are a variety of memorable dining options that include Rue D’Or, a French bistro using the best local ingredients, and the 12th-floor La Veduta, an upscale restaurant serving the cuisine of Northern Italy. The St. Regis Terrace café overlooks a tranquil Zen garden while The St. Regis Bar is a genuinely enchanting setting for late-night cocktails. The Osaka hotel is in a coveted location on the famous Midosuji shopping street, sometimes known as the Champs-Élysées of Japan due to its pleasant, fashionable boulevard feel and gingko-tree-lined walkways. The area is a shopper’s paradise and is home to various luxury brands; the hotel is also near the countless shops, restaurants and attractions of the bustling Shinsaibashi district. A hallmark of St. Regis hotels is the butler service, and this being Japan, you can expect the service to be utterly discreet and attentive. Butlers will arrange for tea or coffee in your room upon arrival, help with packing and unpacking and pressing garments. Pamper yourself at the contemporary Japanese spa Iridium, featuring treatments and therapists from Sothys of Paris. This 14th-floor spa is notable for its sleek and modern Japanese décor, which combined with the wide range of natural treatments on offer, creates a soothing yet invigorating spa experience. 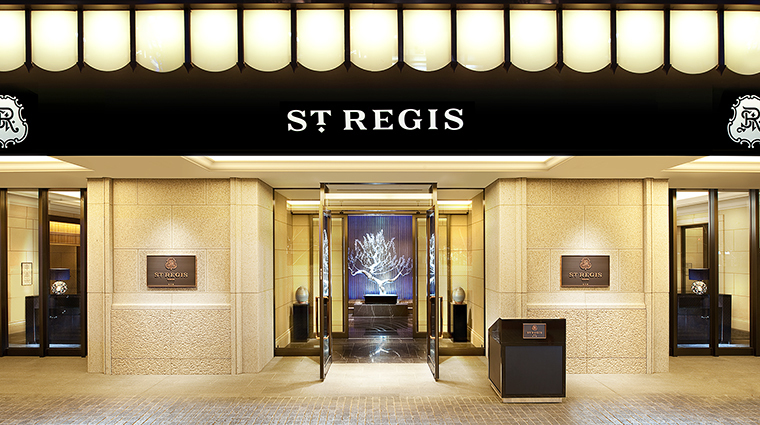 The St. Regis Osaka is within easy reach of Kansai International Airport; simply take a train or bus to Namba and then it’s two stops on the subway. If taking a taxi, it may be best to have the hotel name written down to show the driver, as when said in Japanese “The St. Regis” is pronounced somewhat differently than it is in English. Don’t miss the deep-turquoise colors and unique candlelit ambience of The St. Regis Bar. Modeled in the style of the Momoyama Era, when Japan first opened up to the West in the 16th century, the bar has real character that reflects the period’s atmosphere of prosperity and harmony. 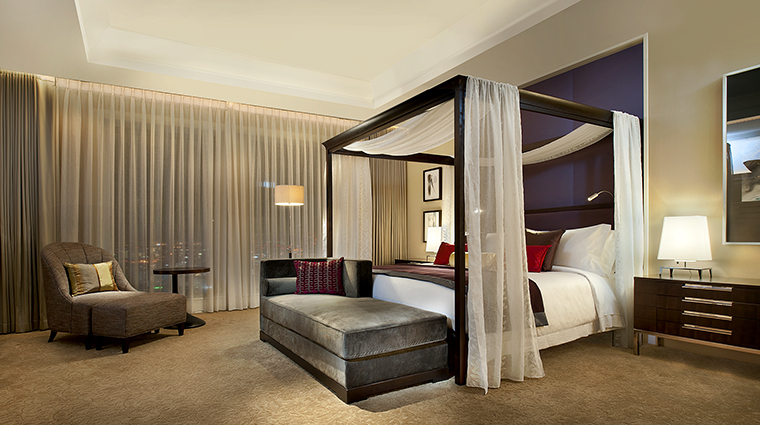 Choose a room on the upper floors (27 is the highest) for the most expansive views of the city. 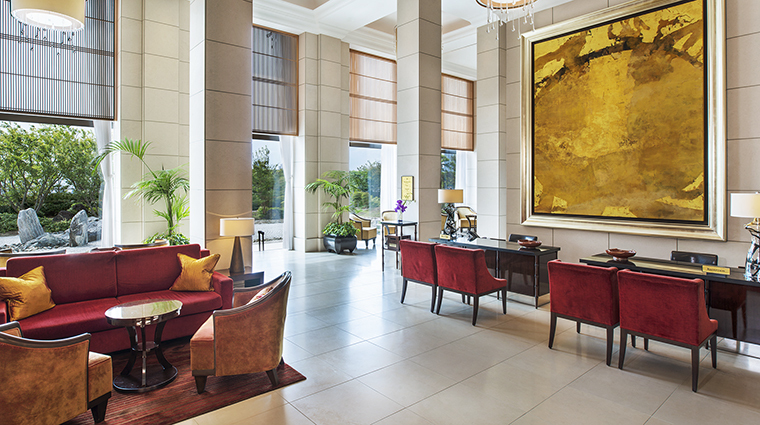 Guests in rooms on the east side of the luxury hotel are treated to splendid mountain and sunrise vistas. The 160 guest rooms and suites are some of the most well-appointed and luxurious to be found in Osaka, with a sense of style and space, which is hard to match. Rooms are decorated with contemporary motifs and finished with tasteful art and ceramics, creating a refined but inviting feel. The beds are endowed with luxuriant feather pillows and 300-thread-count sheets; headboards are made from Kawashima silk and depict local symbols such as gingko and cherry blossoms. Spacious bathrooms feature French marble and Japanese bathtubs, rainforest showers and spa-style amenities. Every room is kitted out with modern essentials such as a 42-inch HD TV, a Pioneer Blue-ray and DVD player, high-speed internet and a Nespresso coffee machine. St. Regis hotels around the globe all have a local twist on the Bloody Mary, originally created at the New York outpost decades ago. The St. Regis Bar in Osaka’s version is The Shogun Mary, made from a blend of yuzu, wasabi, soy sauce and vodka. La Veduta’s large windows, herringbone wood floors and stylish gilded accents set the stage beautifully for all-day dining on the 12th floor — there’s an elegant breakfast buffet, a prix fixe lunch menu and both a degustation and an à la carte menu at dinnertime. Favorites include seasonal risotto, slow-cooked octopus with mayonnaise and roasted vegetables, and black sesame panna cotta. Rue D’Or is the ground-floor eatery that feels like a Japanese version of an age-old Parisian brassiere — it’s sleek and impeccably turned out but still warm and welcoming. Sit here with a croissant and a café au lait or head upstairs to the more romantic space for contemporary French fare like the signature French onion soup served topped with an airy cheese soufflé.